PRP is Platelet Rich Plasma which are derived from your own blood. Your blood is processed to access the platelets and then used to inject into the area of your injury. When injected into a wound site, PRP reduces excessive inflammation to control the damaged tissue’s healing process, causes proliferation (growth and multiplication) of beneficial cellular components and blood vessels, causes regional stem cells to migrate to the damaged area and transform into desired tissue, and guides remodeling so that tissues heal properly long-term without scarring. 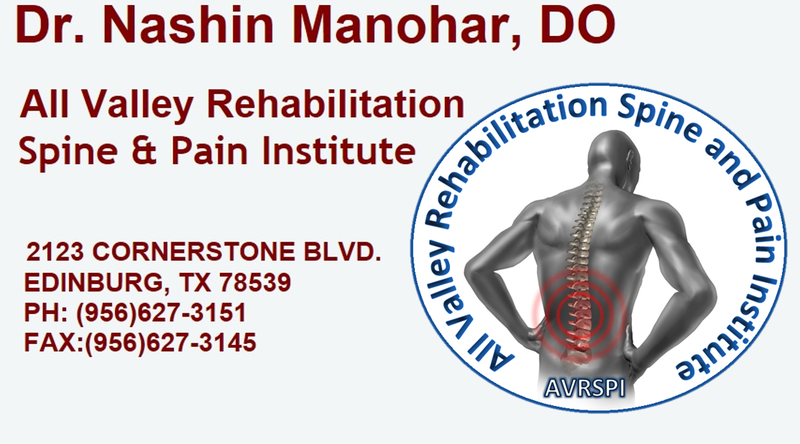 In order to ensure patient safety and accuracy, Dr. Manohar uses ultrasound or fluoroscopy to guide the very thin needle used for injection. Using this technology ensures that we are injecting the maximum number of platelets into the exact area of damaged tissue, where they will have the maximum impact. The procedure is quick and well tolerated. Regenerative therapy uses your own body’s platelets to not simply mask pain, but accelerates your body’s own natural healing process. PRP Injections are a cutting edge solution that professional athletes, weekend warriors, and active individuals are using to heal their pain. To accelerate healing, we can fortify the effects of Platelet Rich Plasma (PRP) created from your own body with amniotic membrane extract containing a mixture of powerful growth factors, extra cellular matrix and other beneficial chemicals. Amniotic membrane extract is obtained from placental membranes after routine c-section from healthy, pre-screened pregnant donors. This extract contains potent, concentrated growth factors, cytokines, and extracellular matrix upon which host stem cells or other beneficial blood tissue components can implant upon and multiply. PRP and the amniotic membrane extract are injected separately into the damaged tissue to provide a “one-two punch” that improves the anti-inflammatory and restorative properties of the procedure. There are no ethical issues associated with harvesting amniotic tissue since they are derived from placentas destined for bio-waste disposal. PRP Therapy harnesses the body’s natural power to heal itself. At AVRSPI, we strive to remain on the forefront of the advancement of medicine for the sake of our patients. We fully understand the importance of unlocking the body’s secrets to heal itself using these natural treatments. PRP is a natural treatment that can prevent the need for plastic or metal joint implant surgery, lengthy rehabilitation, constant / chronic pain and the possibility of long-term dependence on prescription drugs and / or opiates. PRP and BMC not only directly reduce inflammation, promote healing, and improve tissue restoration, but the various growth factors and cytokines released activate the body’s own regenerative capacity. How Fast Does Regenerative Therapy Work﻿? If your body fails to respond to conservative interventions such as physical therapy and anti-inflammatory medications, it is better to try PRP therapy sooner rather than later. This is especially true when the damaged tissue is cartilage or tendon, which has less natural blood flow than muscle and thus heals more slowly under even the best of circumstances. The procedure itself is generally well tolerated, so you should have no significant pain or downtime associated with the procedure. There may be modest post-procedure pain for less than 24 hours, but the damaged tissue begins to heal rapidly. You will notice progressive improvement the first few weeks with less pain, increased joint function and greater mobility. A few months later, your condition should improve more as the growth factors, cellular matrix, and other components of the therapy begin to take effect. The length of time to heal fully depends on your body’s healing ability, the extent of the injury, and how long the injury has persisted. As the intensity of your pain drops, your ability to move freely, participate in sports, and return to physical training will increase. As the tissue continues to heal, your endurance will increase. This improvement in mobility and endurance is not a temporary condition. Wounded tissue is being replaced by new, healthy tissue, so the process of healing should persist long-term. The results are generally long lasting, but repeat injections may be necessary in order to avoid long-term dependence on opiates, invasive surgery, hospitalization, or lengthy rehabilitation. AVRSPI is committed to using the most advanced medical technology and methodology needed to ensure effective and safe treatment. We use fluoroscopy or ultrasound for every PRP and BMC injection procedure to guide needle to the exact point of the injury. Ultrasound imaging enables us to clearly see the joints, ligaments, tendons, cartilage, supporting tissues, and areas of inflammation so that we can pinpoint the affected area and guide the injections to the exact spot where it is needed. When we inject PRP, amniotic membrane extract, or BMC, we want the maximum number of healing platelets, tissues, and cells to hit the damaged tissue. This targeted approach is the only way to ensure maximum healing. Fluoroscopy and ultrasound enables us to clearly see bone, tendons, muscles, and the path that the needle needs to take to hit the target. We can avoid potential blockages that stand in the way, especially in those cases where a joint or spine disc injection is performed. Red blood cells in PRP increase viscosity, making application more difficult for many physicians and more painful for the patient. AVRSPI we use a technique that processes platelets using a powerful tabletop system to separate the platelets from red blood cells, and deliver high concentrations of platelets and growth factors. Not all Regenerative Medicine products are collected and processed the same. Some methods are safer and more effective than others.